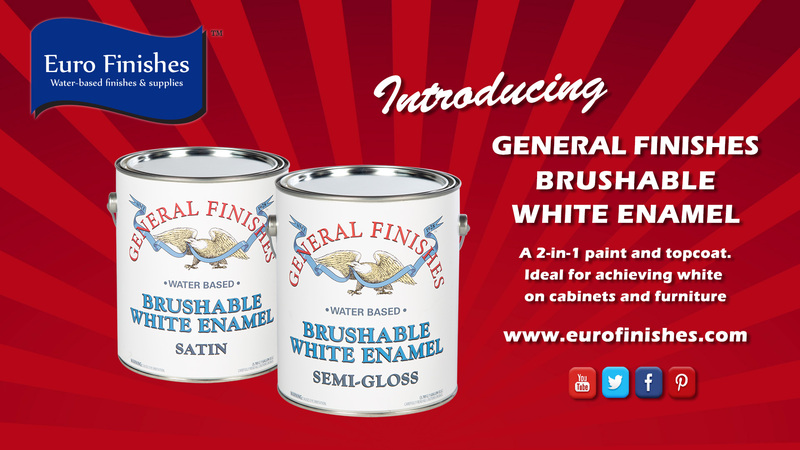 General Finishes new premium enamel marries water-based topcoat with white pigment, creating a durable interior finish for furniture and cabinets. Brushable White Enamel (BWE) alleviates potential yellowing issues that occur using a white water-based paint followed by a water-based topcoat. BWE is a premium, pigmented water-based wood enamel ideal for cabinets, furniture and woodwork. Acting as a 2-in-1 paint and topcoat, this enamel is perfect for those who want to work with Enduro White Poly, but do not own a spray gun. The use of General Finishes Stain Blocker recommended. Brushable White Enamel is a premium, pigmented water-based wood enamel ideal for cabinets, furniture..